It was one of the biggest betrayals in recent WWE history, as The Shield’s Seth Rollins turned his back on his brothers Dean Ambrose and Roman Reigns on last monday’s episode of RAW. It was a moment that has our two hosts Trevor Robb and Brain Swane perplexed and ultimately wondering what happens next. Is the Shield dead? 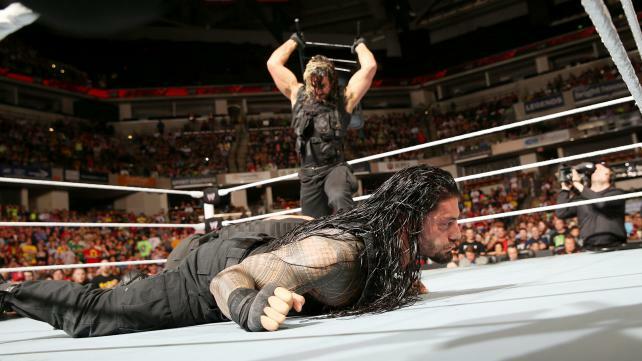 Where do Ambrose and Reigns go from here? Will anyone else join the ranks of Evolution? All questions with no definitive answers. Our hosts also delve into the Bray Wyatt and John Cena rivalry, and what Dolph Ziggler’s recent Money in the Bank qualifying match loss to Alberto Del Rio does for the future of the Showoff. Tags: 780 Sports, Alberto Del Rio, Bray Wyatt, Daniel Bryan, Dean Ambrose, Dolph Ziggler, Edmonton, Jake Roberts, John Cena, Professional wrestling, randy orton, The Shield, Triple H, Turnbuckle Radio, WWE, WWE Raw. Bookmark the permalink.